Q1: Now Vadim, you issued an update note on ImmuPharma on Friday, can you give us a quick overview on your key thoughts highlighted in the note? Also, we noted that you’ve raised your target price to 181p, what was the rationale behind the raise? A1: Yes, that’s right. First of all, the target price, basically it’s an update note, what we did is we also updated the model, the company recently had results so we pushed forward the model one year forward and that pretty much accounts for the target price increase. I think the point on the target price, so it’s gone from 171p to 181p, but the key point is that it’s several times uplift on the current share price which is around 54p and that message stays the same. If anything, the target price is actually still quite conservative because our modelling only accounts for one indication which is lupus which is the major indication for their lead drug Lupuzor which is in Phase III trials and reading-out soon. Recently, it’s been determined that there are further indications for Lupuzor in other auto-immune diseases and inflammatory diseases and they’re all major other potential indications like rheumatoid arthritis, crohns disease even asthma. So, our target price only accounts for Lupuzor in lupus and then over and above that, the company has other clinical programmes, one in oncology and a pre-clinical programme in diabetes so none of that s accounted for in our target price, there’s further potential uplift to the already significant uplift to our target price. In terms of the rest of the research note, it’s an update on how things are progressing. The trial that they put out an update on Friday morning, and we published our note after that as well, this is the lupus trial for Lupuzor which is a Phase III pivotal trial which is going to read-out in Q1 next year, this will be a major milestone for the business. It’s effectively the end of the line for Lupuzor and we hope to see a positive read-out from that trial, the trial is progressing to plan, that’s the research note makes mention of that, 90% of the patients have been tested for over 6 months, safety profile is coming through as clean and all we need to know now is the result and it’s up and coming. Q2: You also presented at ImmuPharma’s investor symposium on Friday, how important is it to have these investor events for shareholders? A2: They’re important events in terms of communication with shareholders, I think in particular ImmuPharma does a great job at it, they’re always out there, always talking to investors. The presentation, they also did a good job at filming it, the link is now on their website for those that missed it or new investors that want to take a look but it’s good and it’s important for any publicly listed business to have a broad communications programme, these investor days are good for that. Q3: In summary then, why should investors buy shares in ImmuPharma Plc? A3: Well, I touched on some of the points. One, I believe, it’s grossly undervalued, even my target price is very conservative, these things always seem a bit strange because you say how did it get to this point in terms of valuation. I think the market is now picking up on it, over the last 12 months the share price has doubled, we see a lot more upside obviously and it’s not uncommon, as company’s approach their final milestone specifically Phase III clinical trial read-outs, that you get a bit of anticipated buying, buying in anticipation. 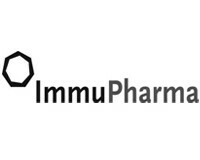 So, why should investors buy in ImmuPharma? It’s a late-stage asset that they can get relatively cheaply, the price is in my opinion is very low, and the timelines are closing now so 9 months to a read-out you’re already seeing share price movement so now is the time to get in, before the read-out.